The new and improved SanFranciscoBreast.com is now open for browsing. SanFranciscoBreast.com has been completely updated. This update includes new content, and it is artfully illustrated with new breast enhancement videos and more before and after pictures. In addition, the fresh content is wrapped in a new skin, improving navigation for the small screen and the desktop alike. The Breast Lift section includes details about five main options for Mastopexy. There are also pages dedicated to the combination of Breast Lift using Breast Implants and Areola Reduction. Options for Breast Reduction for Women are also reviewed, as several techniques have evolved during the 20+ years I have been in practice. Breast Reduction for Men, also known as Gynecomastia Reduction, is covered with attention paid to the causes and the most current treatments available. I have tried to create an all inclusive Breast Enhancement site designed to provide detailed information about the many Plastic Surgery options available for Breast Enhancement, whether that be Breast Enlargement, Breast Reduction or Breast Reshaping. While the San Francisco Breast web site in meant to provide information, it is just a starting point. The Internet cannot take the place of a thoughtful, in-person consultation with a qualified Board Certified Plastic Surgeon. If you would like to schedule a private, personalized consultation appointment call (925) 943-6353 today. 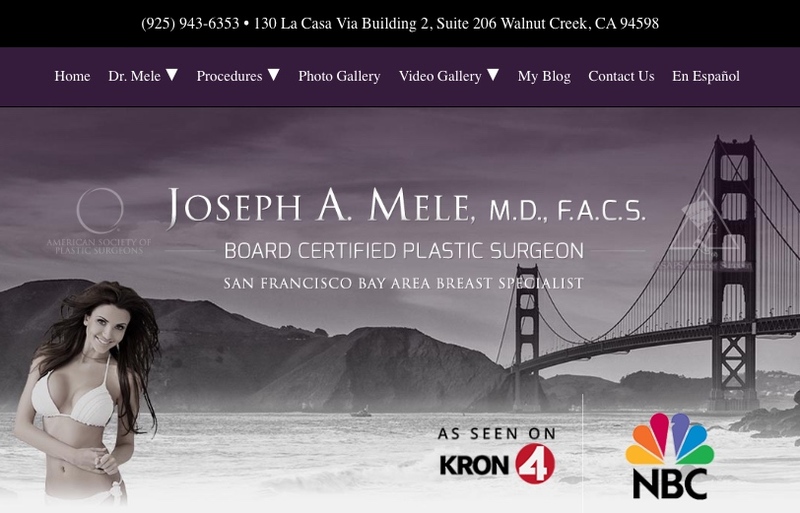 My San Francisco Bay Area Plastic Surgery clinic specializes in helping you obtain the best possible results.